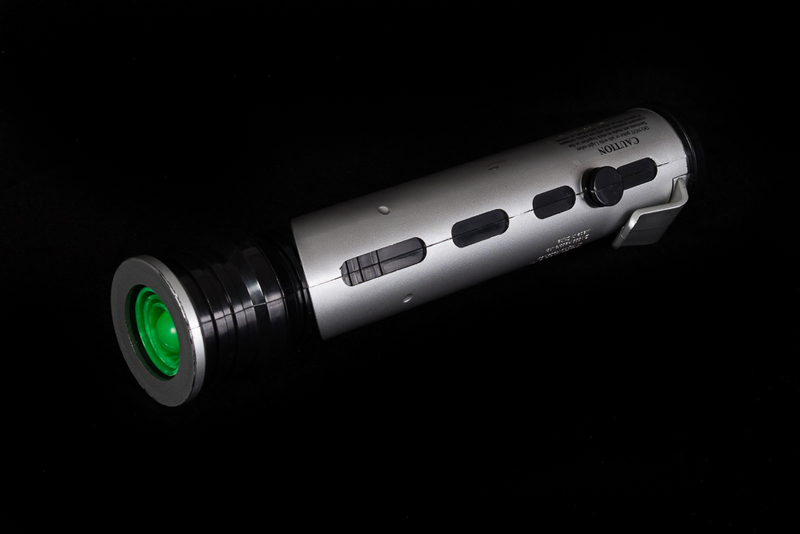 The lightsaber is in good condition and ideal for cosplay or any young Padawan. 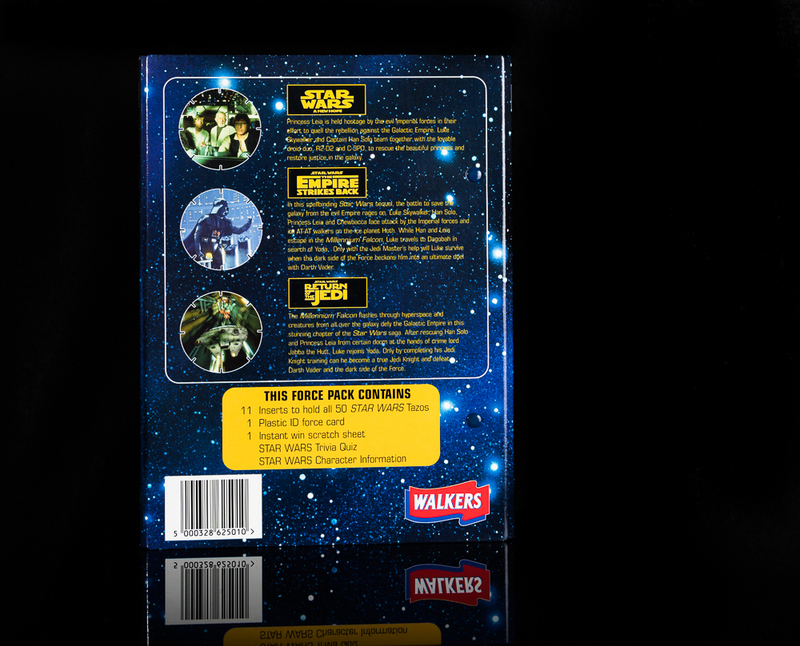 This is Stamped ©2006 Lucasfilm Ltd. 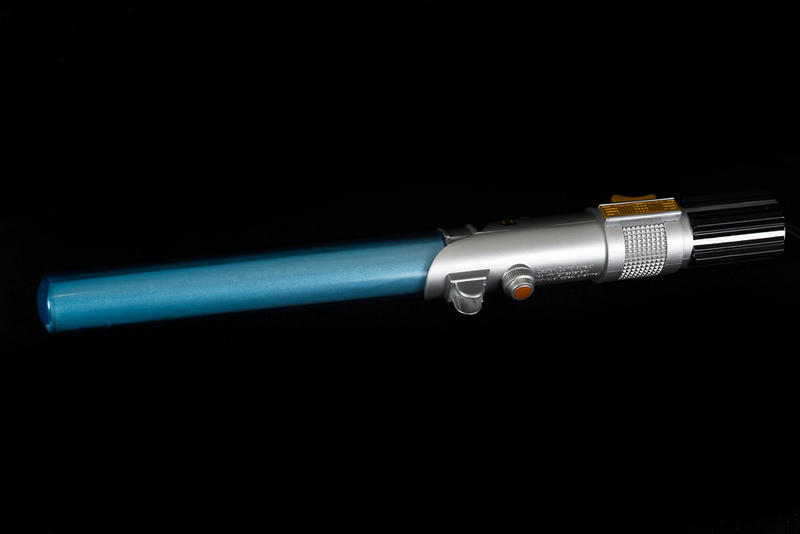 The hilt measures 8 inches and 16 inches with saber blade. 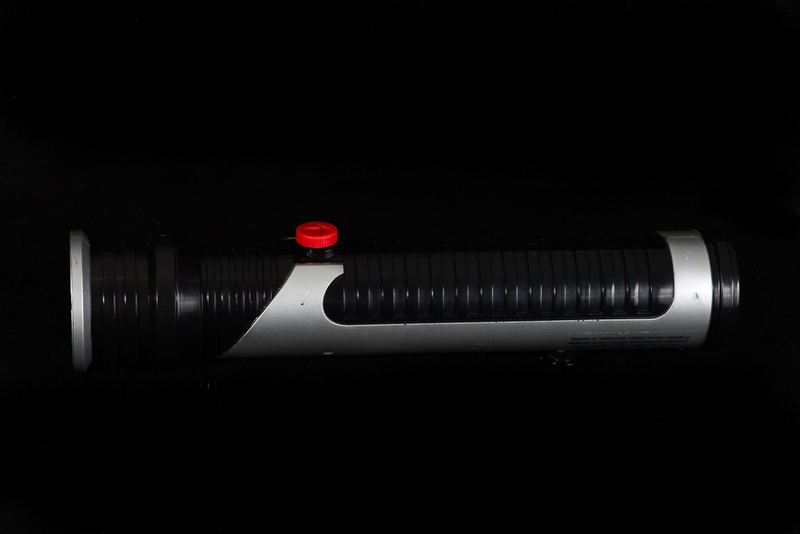 The lightsaber is in good condition and ideal for cosplay or display. 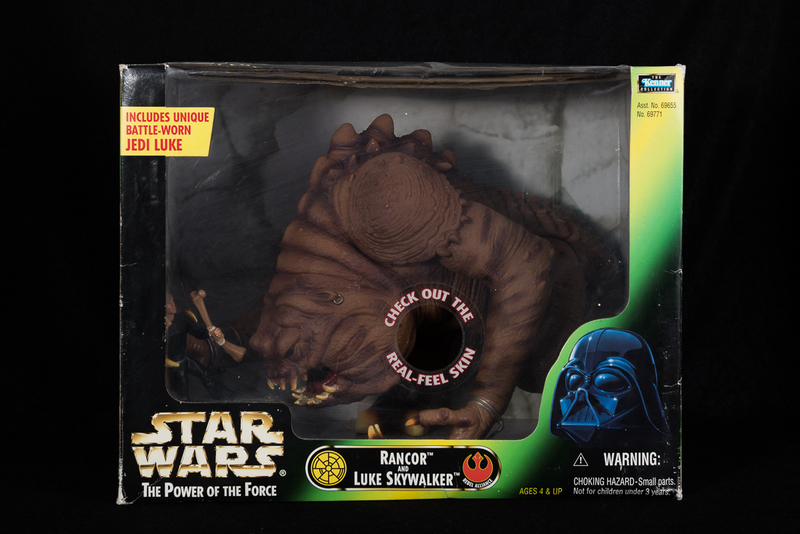 This is Stamped 1999 LFL Hasbro. 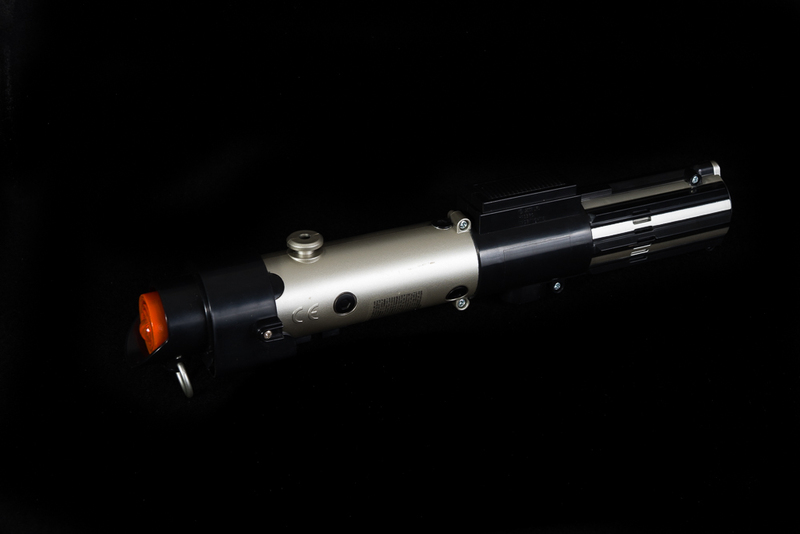 The hilt measures just under 21inches and just under 64inches with saber blades extended. 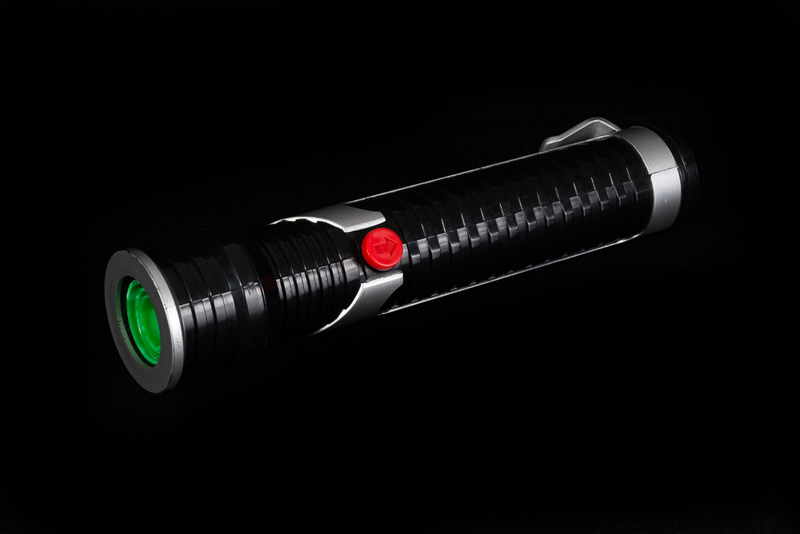 The blades extend with a flick motion, there is also a light up and sound function that has been tested and is fully working. 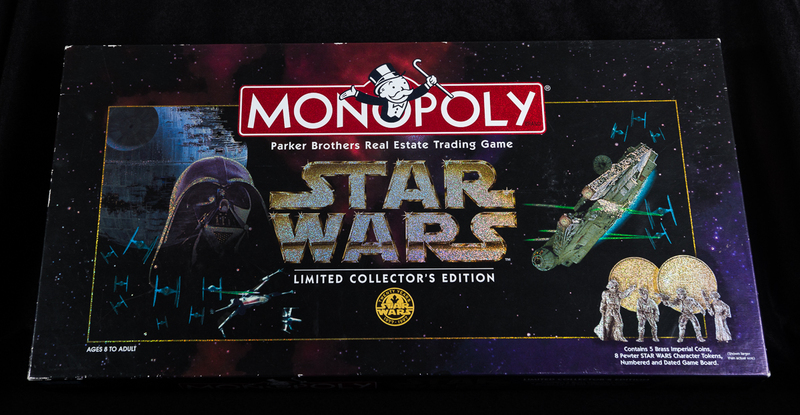 This is Stamped ©2006 LFL Hasbro. 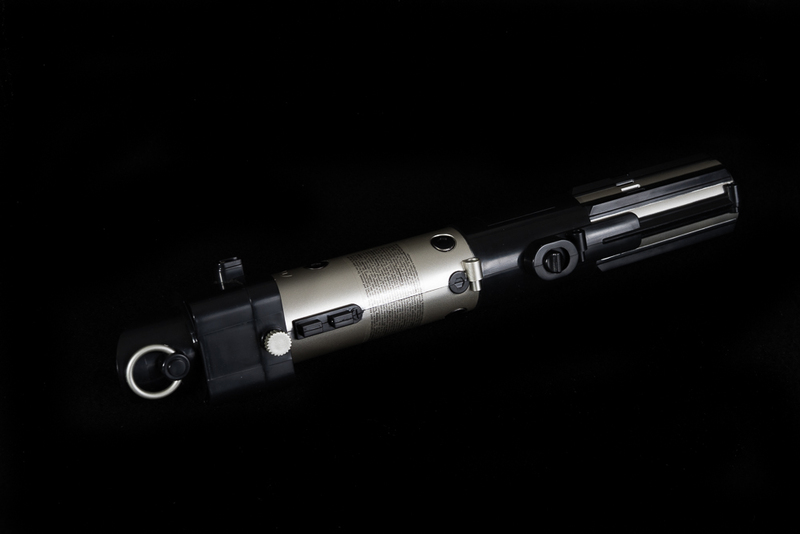 The hilt measures 14 inches and 41 inches with spring loaded saber blade extended. 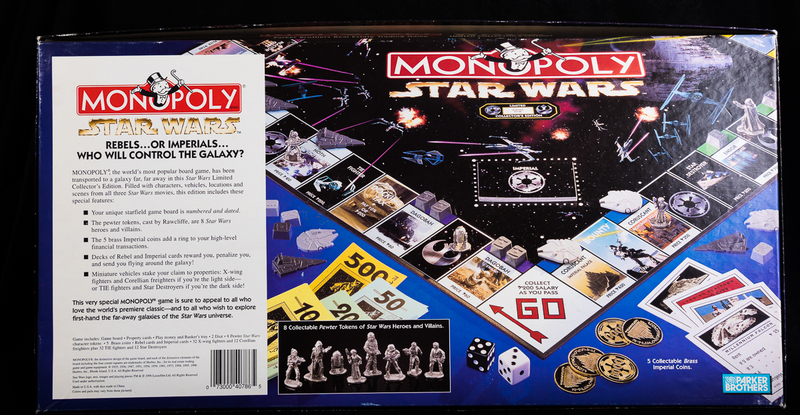 This is Stamped ©Lucasfilm Ltd & TM ©1999 Hasbro Inc. 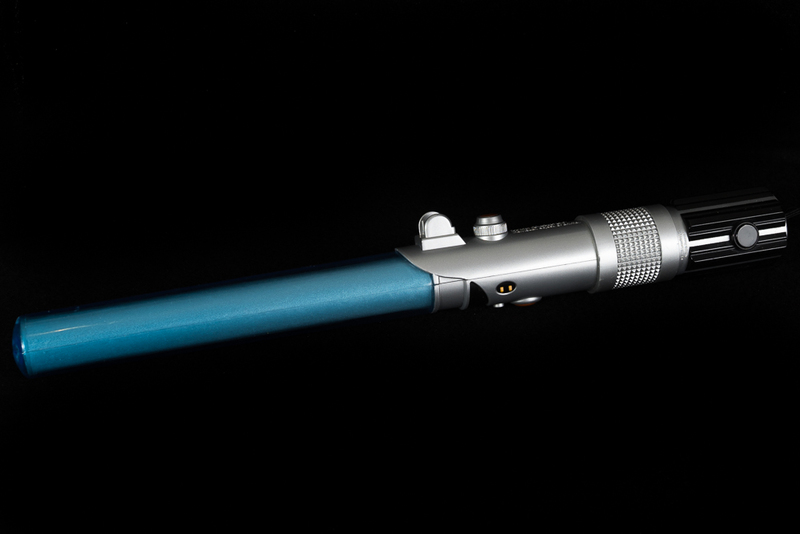 The hilt measures 10 inches and 31 inches with saber blade extended. 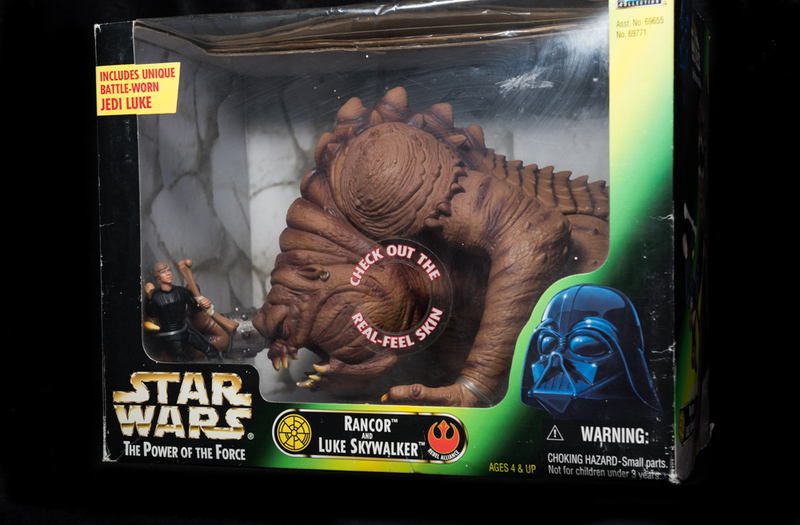 This is Stamped ©1999 Hasbro ©LucusFilmLTD. 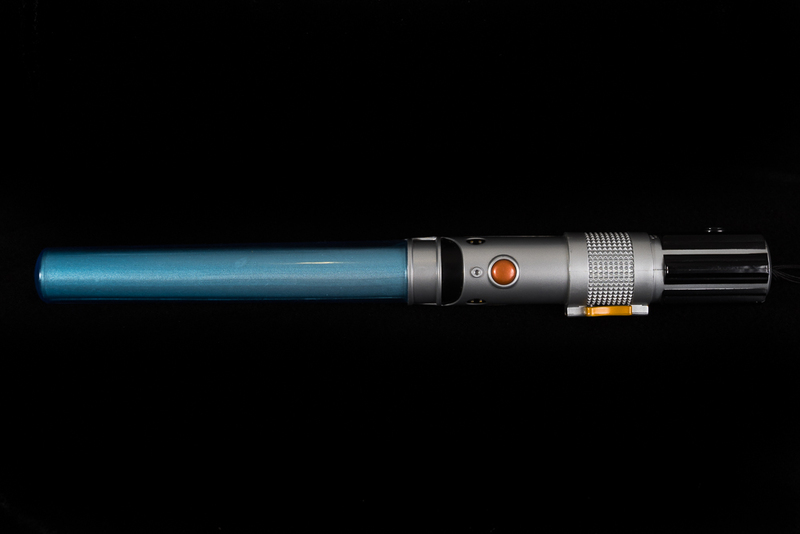 The hilt measures 21inches and over 60inches with blades extended. 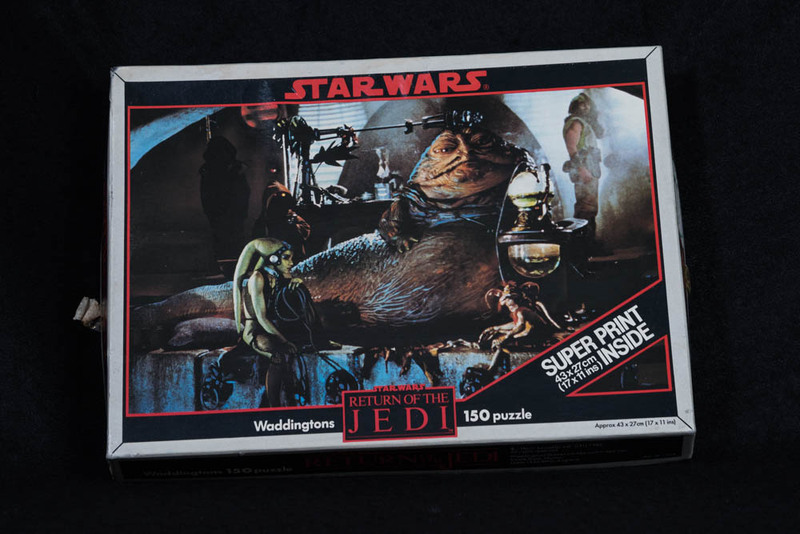 This Jigsaw set is new in original factory sealed box which is in good condition. 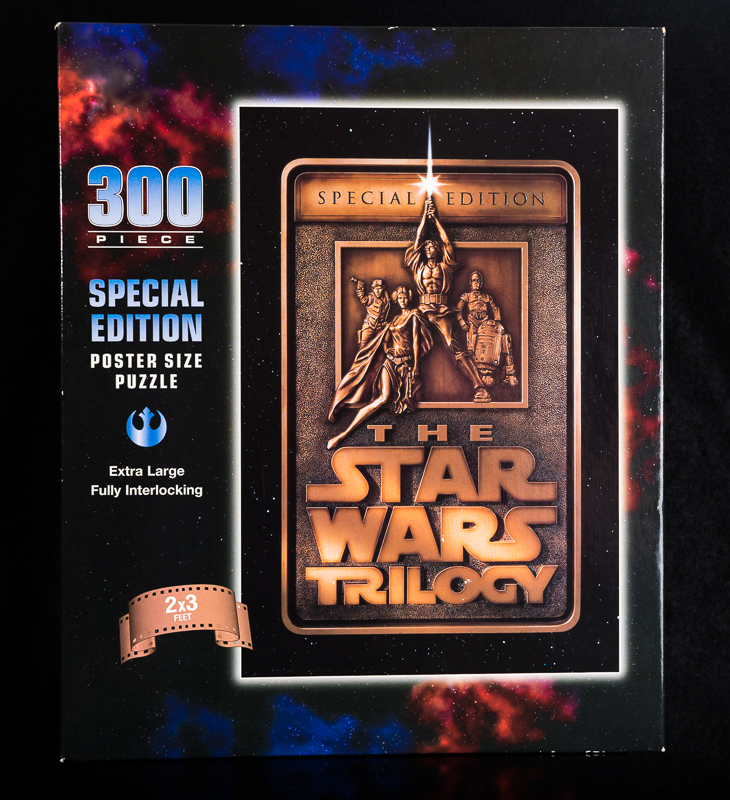 The puzzle measures 2x3 feet (61cm x 91cm) when complete. 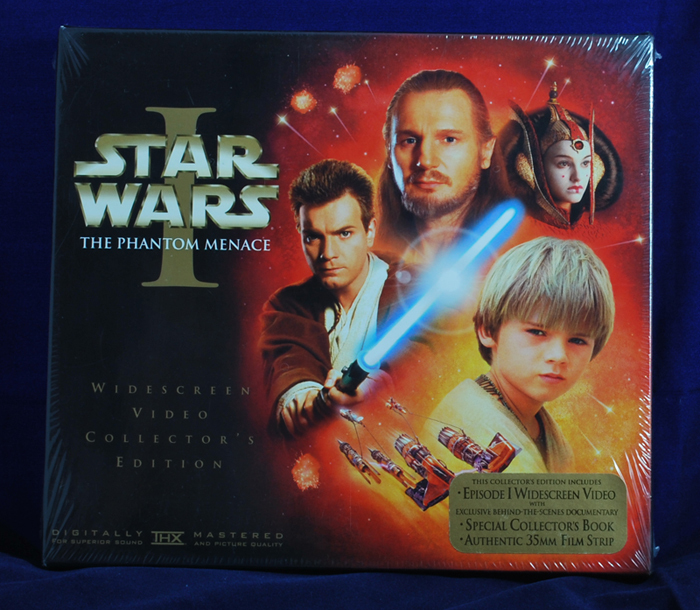 Brand New Factory Sealed Set. 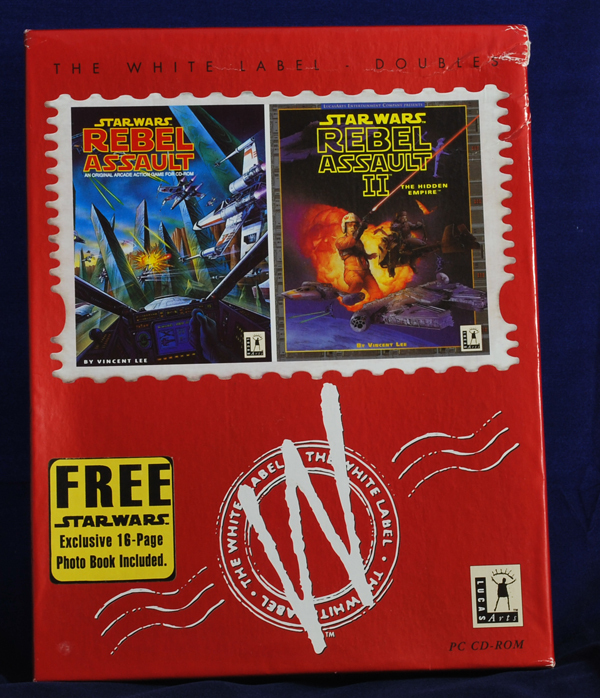 •	Instruction booklet for "Rebel Assault"
•	Reference card for "Rebel Assault"
•	Getting started guide for "Rebel Assault II"
•	Troubleshooting guide for "Rebel Assault II"
Over all the contents are in excellent condition with just the outer box that is showing signs of wear. 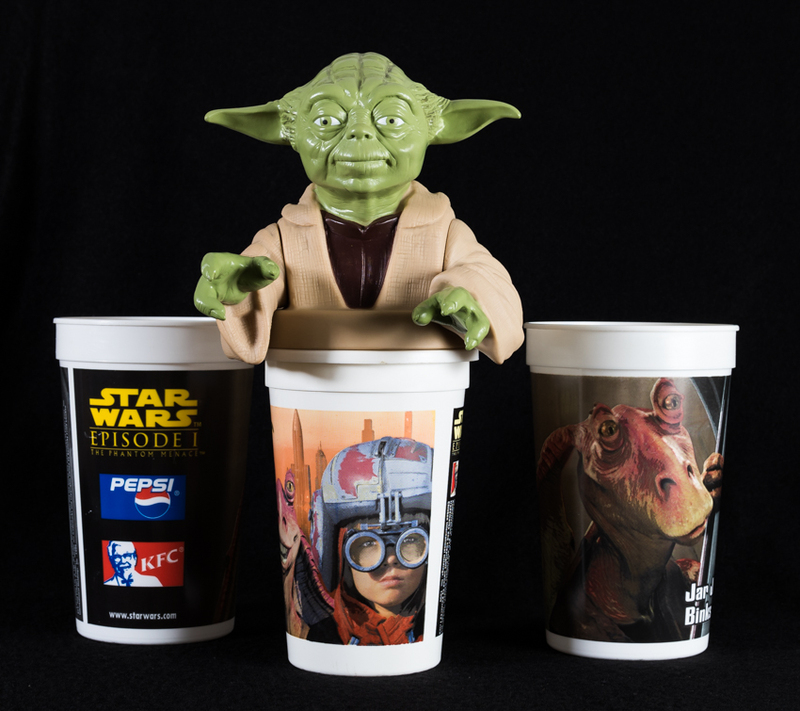 These were a promotional release for Episode 1 and were only available from the KFC. 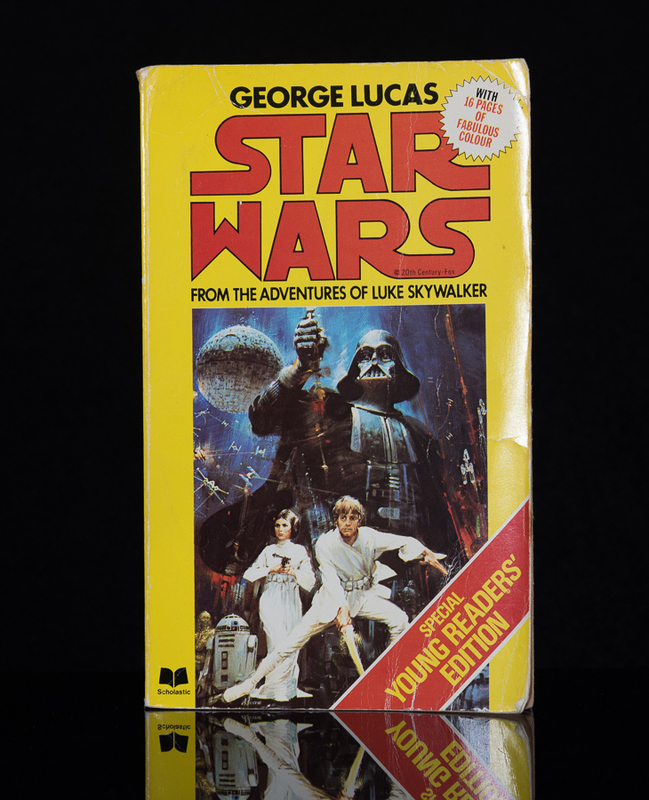 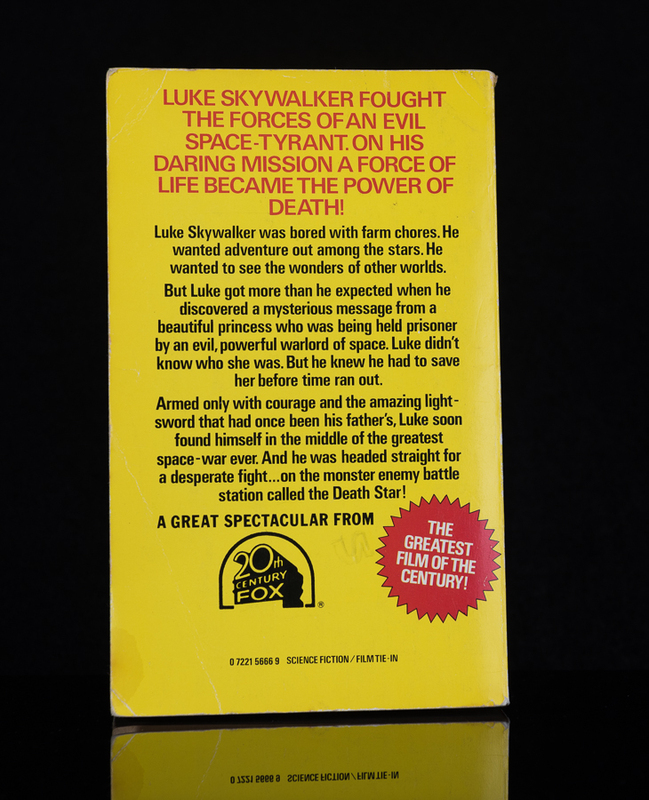 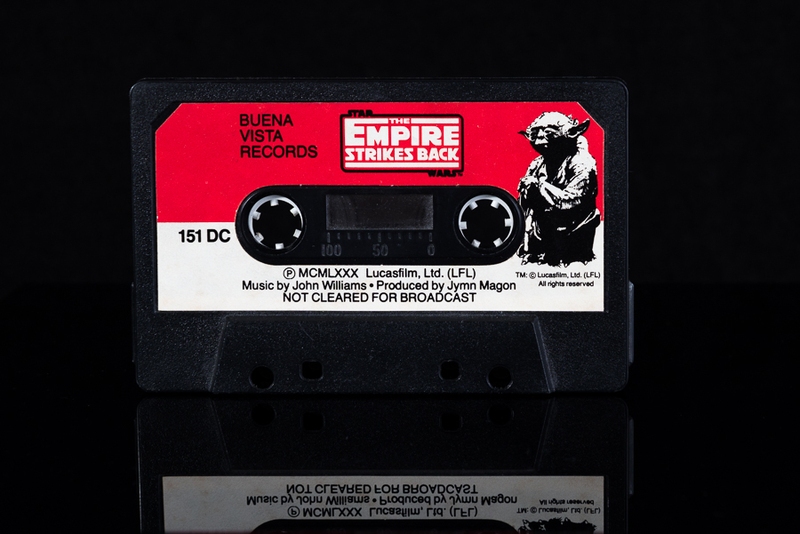 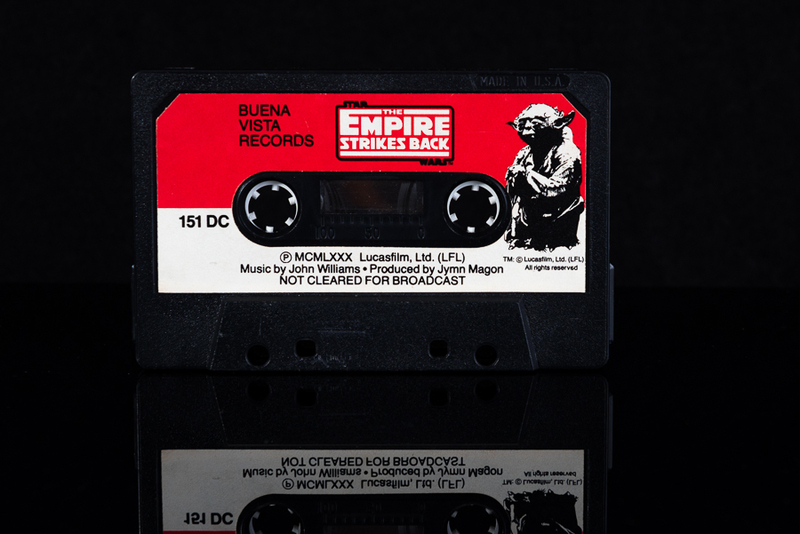 Original Empire Strikes Back read along cassette tape in very good condition. 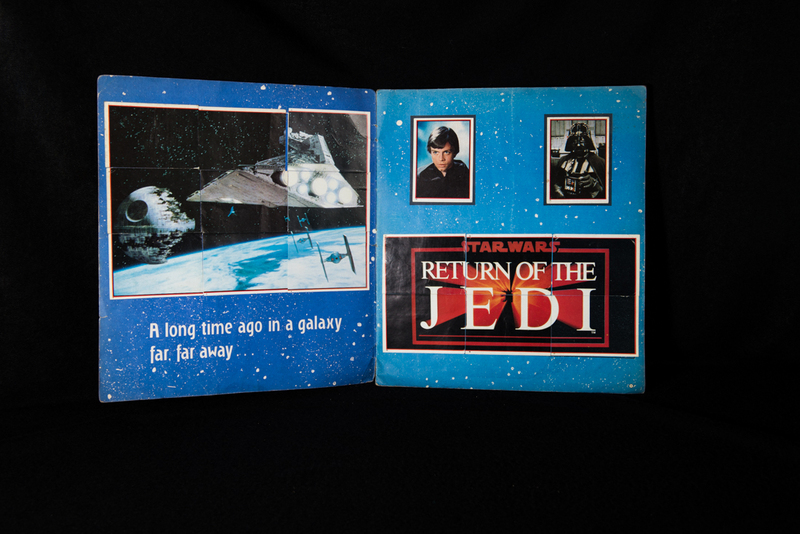 This is the paper back release of the book which is in fair condition for its age with the colour pages still very vibrant. 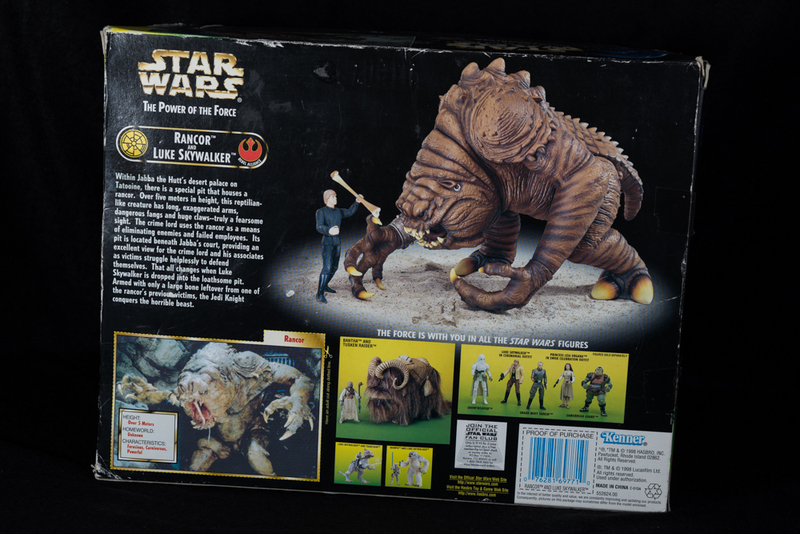 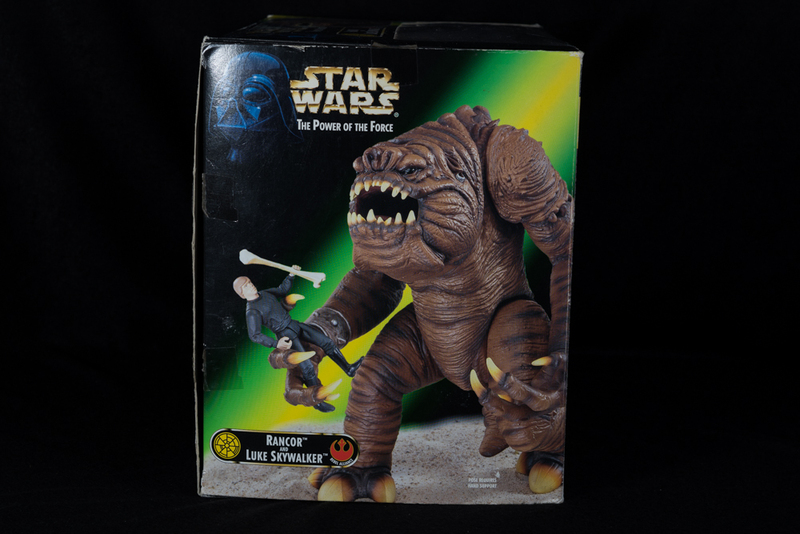 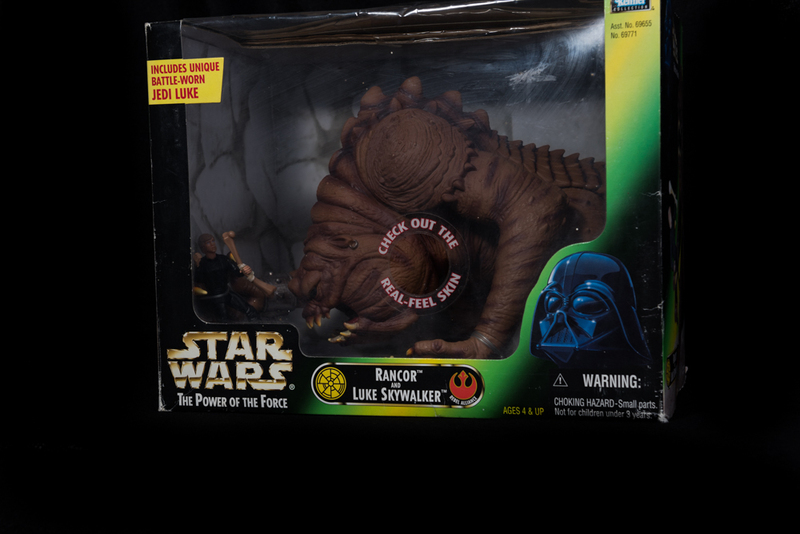 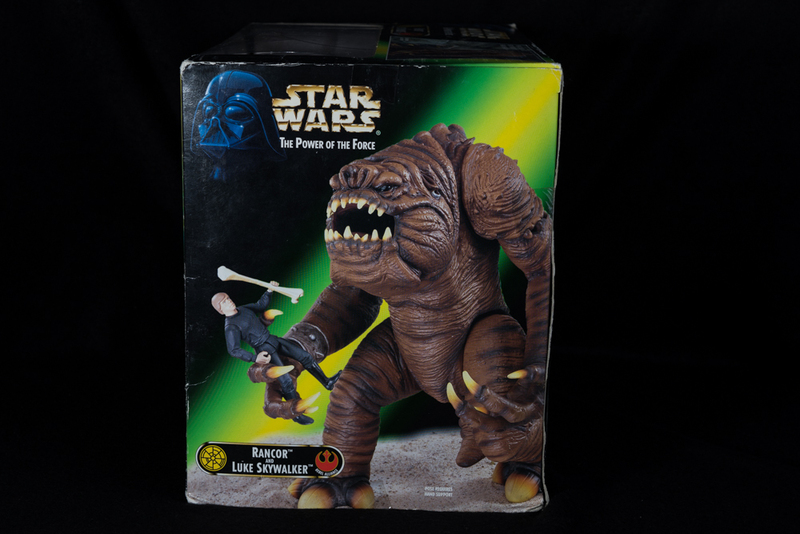 From the Power of The Force release in the 90's this is the Rancor Keeper with Luke Skywalker. 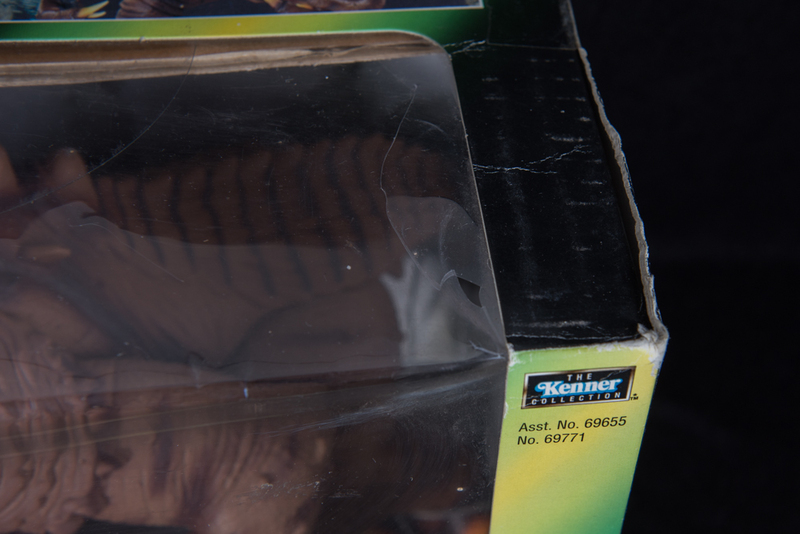 The box is in fair to good condition with wear and there is a crack in the plastic window display. 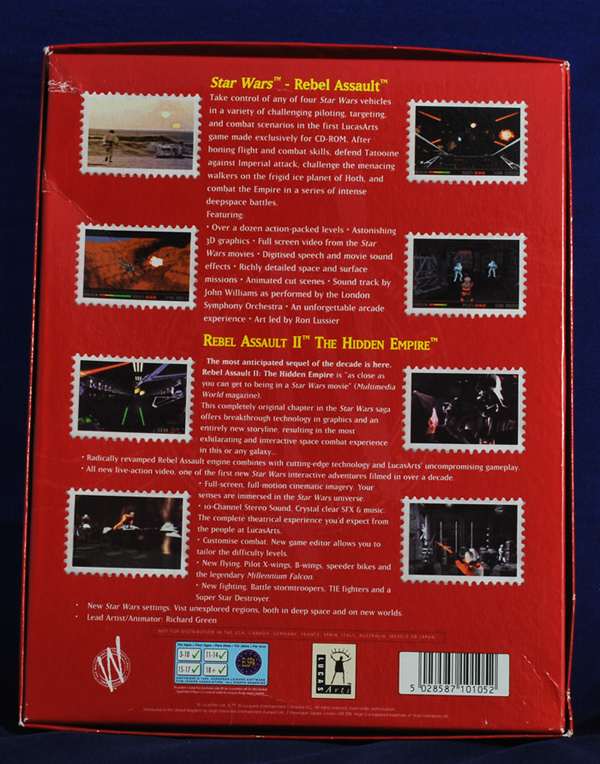 The box is open but contents have not been used. 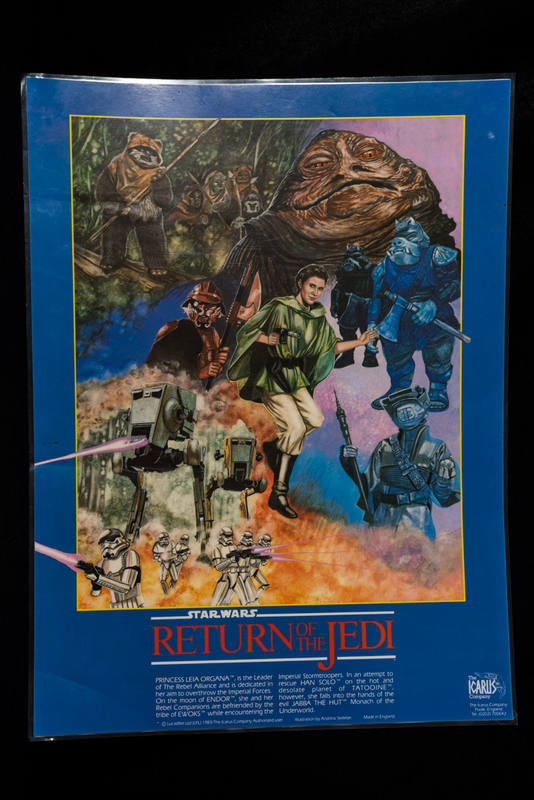 x2 A3 Return of The Jedi posters from 1983 and in very good condition. 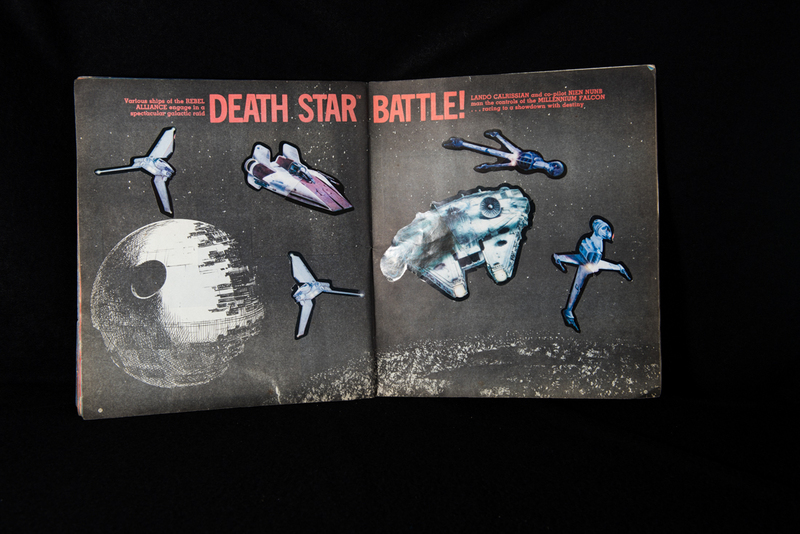 These were from The Icarus Company Made in England. 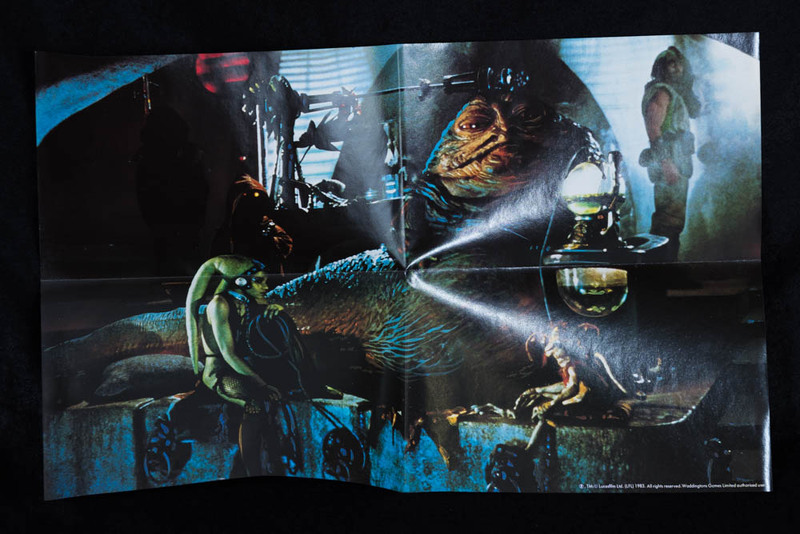 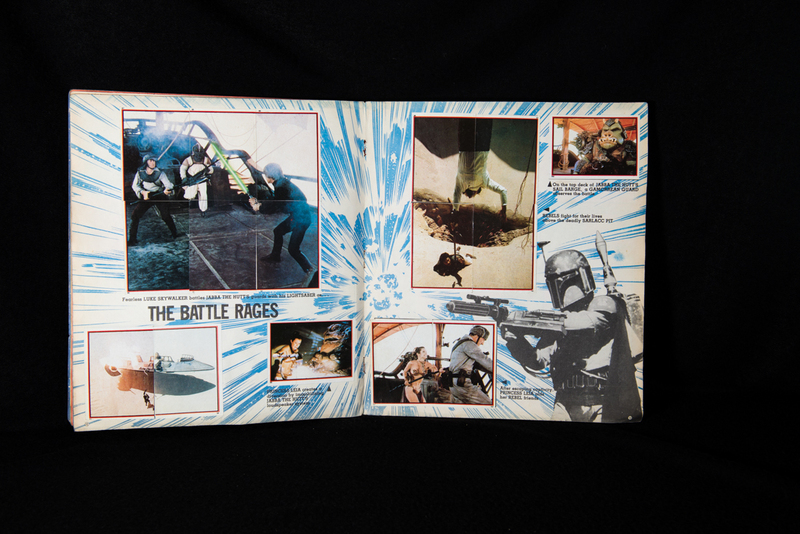 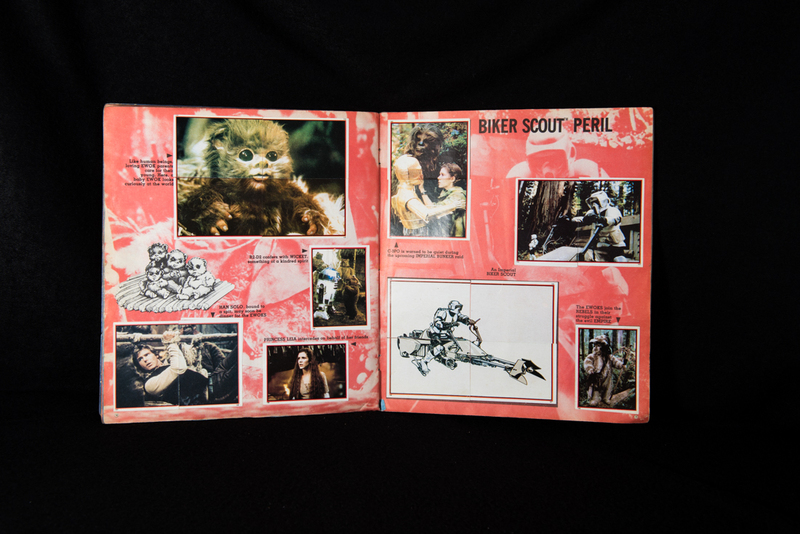 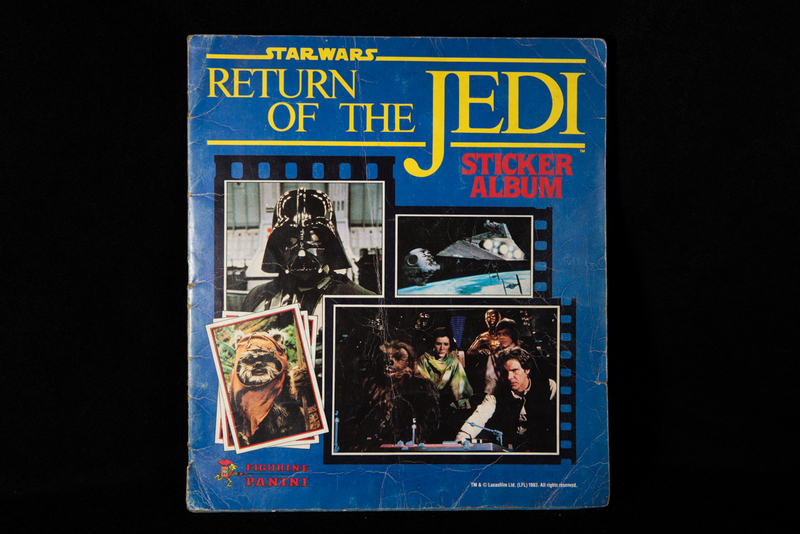 Return of The Jedi sticker album made by Pannini. 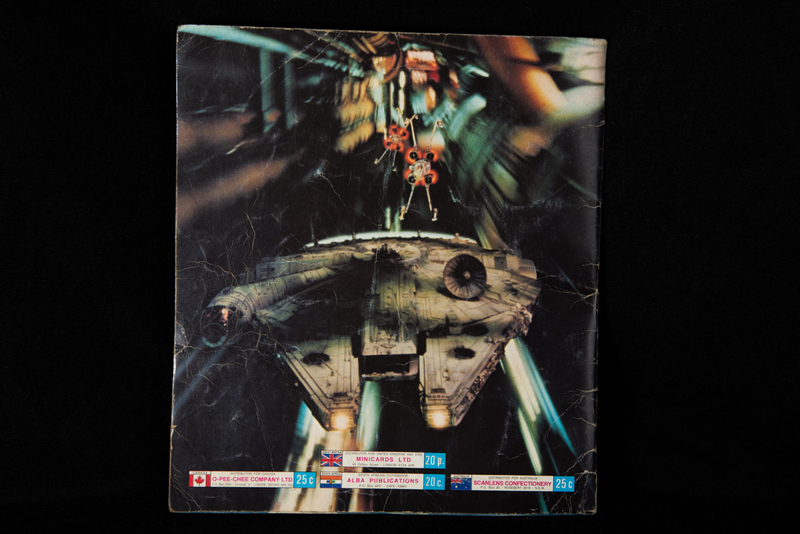 In fair to good condition, the centre pages have come loose from the staples. 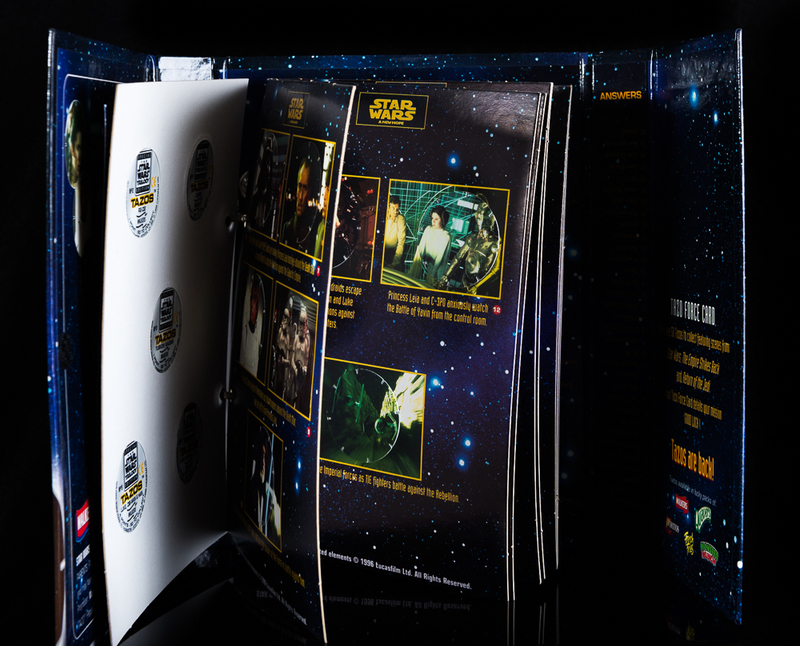 All stickers are present. 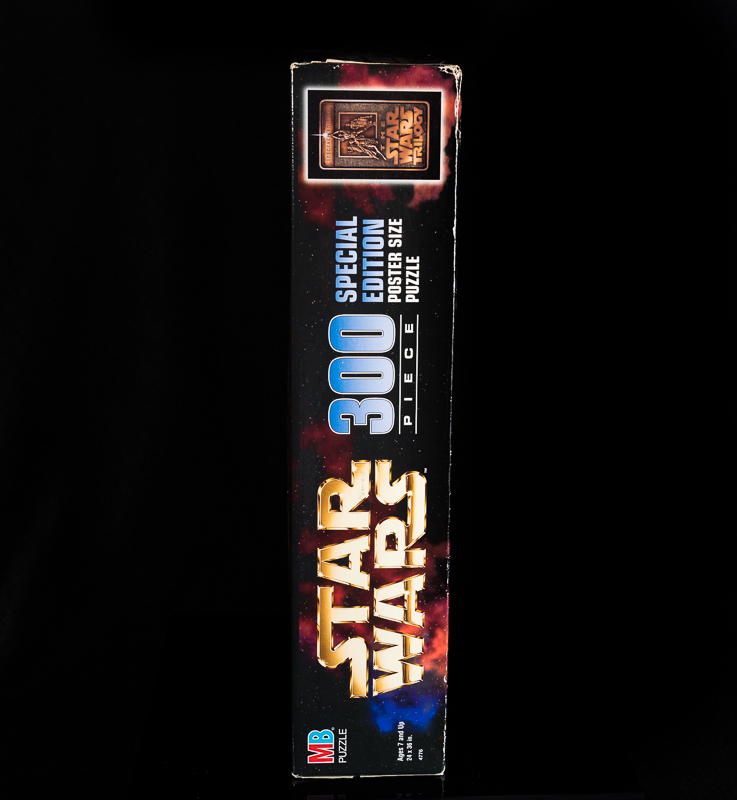 This is the 20th Anniversary collectors edition released in 1997 which features its own unique limited edition number on the playing board. 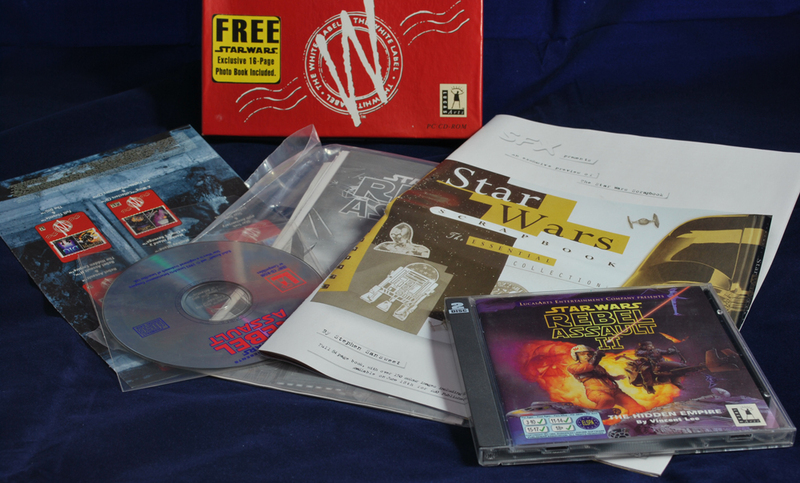 The box is in good condition and the contents are new and sealed. 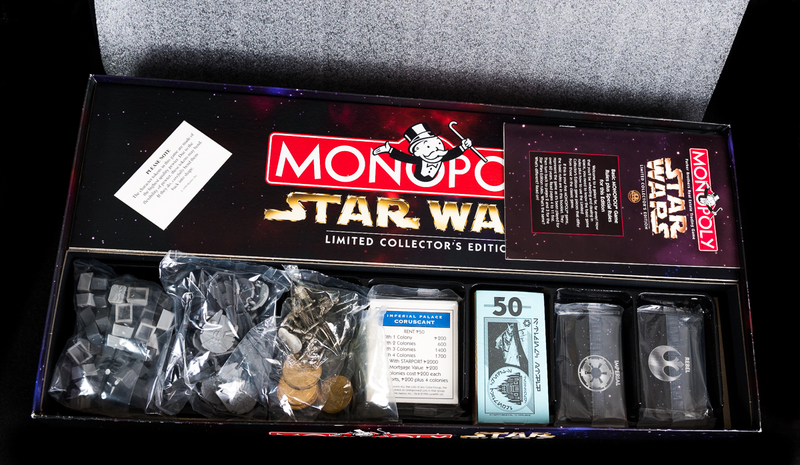 This exclusive set comes with 5 real Brass Imperial coins and 8 real Pewter character token miniature figurines. 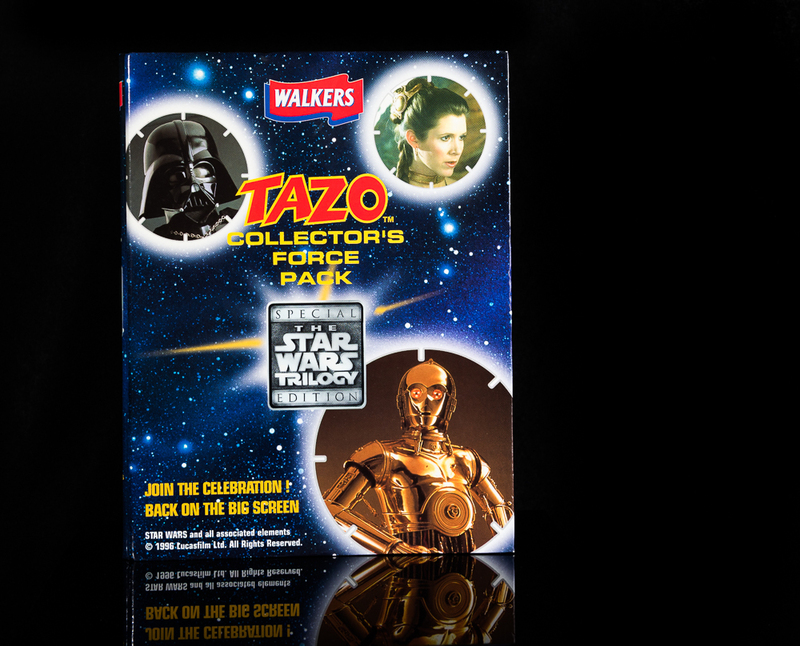 Here we have a complete Tazo set from 1996 to coincide with the Special Edition Star Wars Trilogy release. 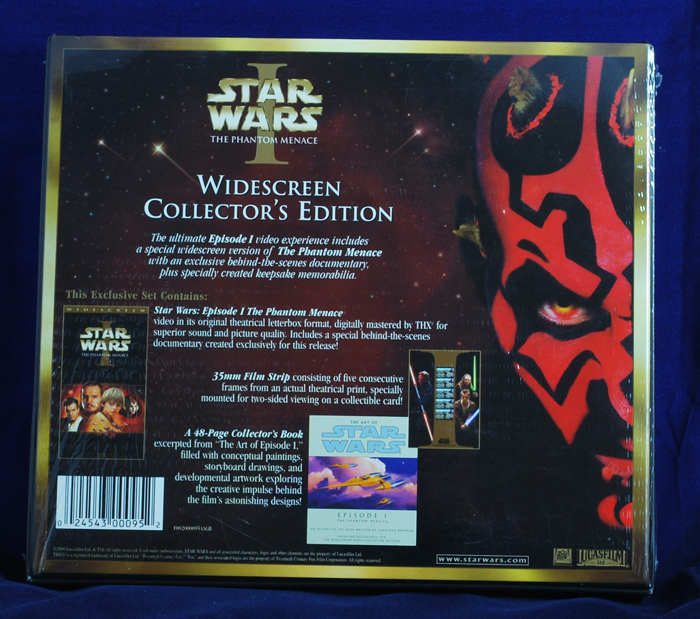 The folder and contents are in very good condition and also includes the Special Trilogy Tazo. 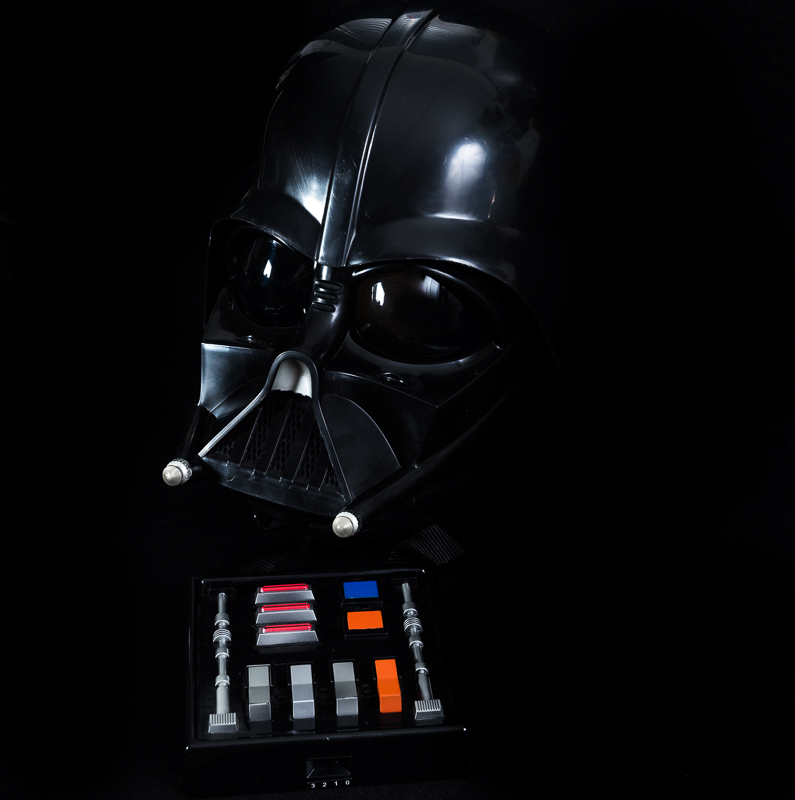 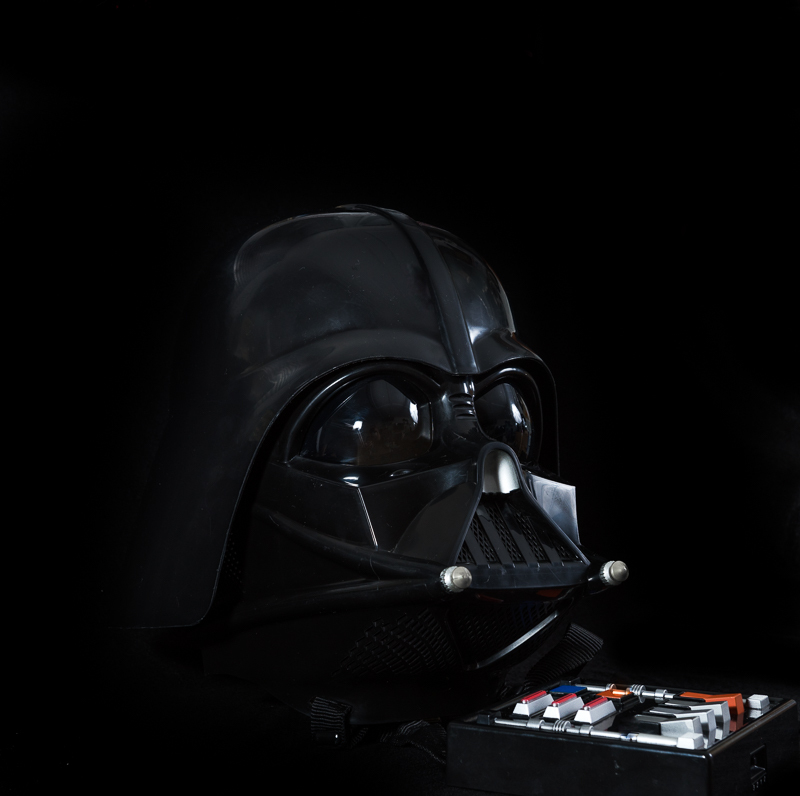 This is the originl Darth Vader wearable voice changer helmet with chest plate which was released in 2004 by Hasbro. 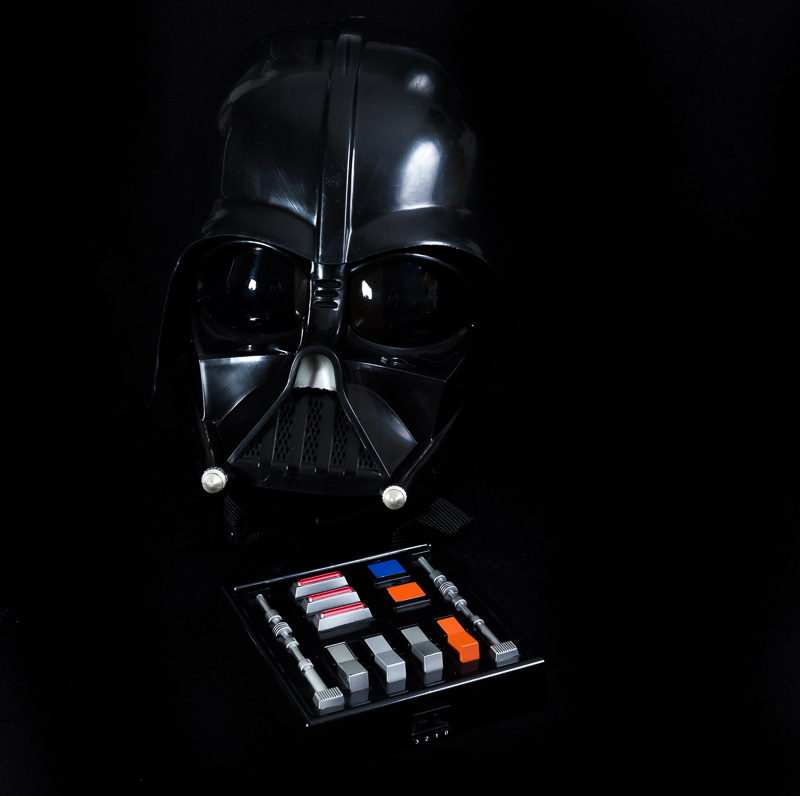 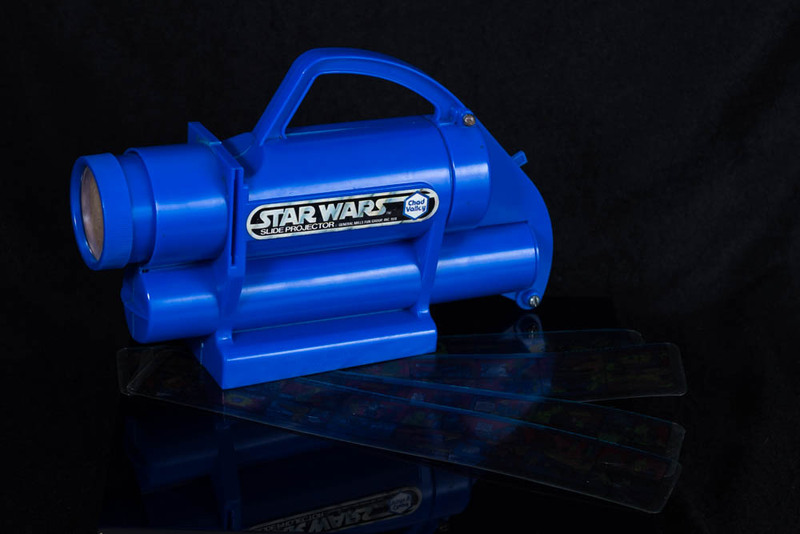 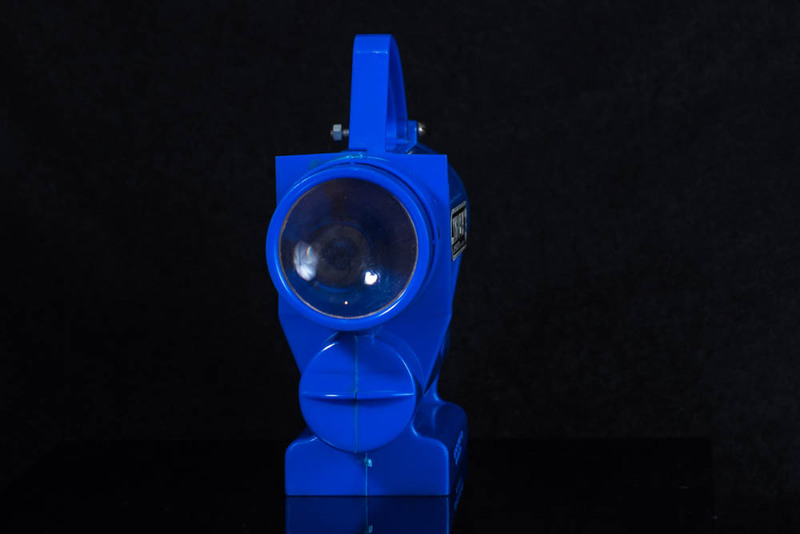 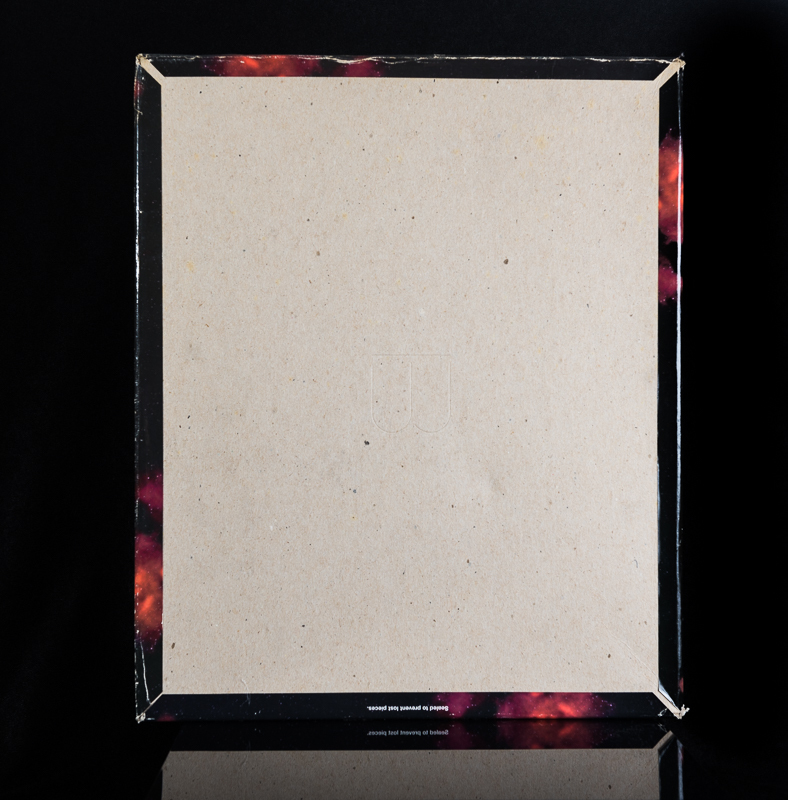 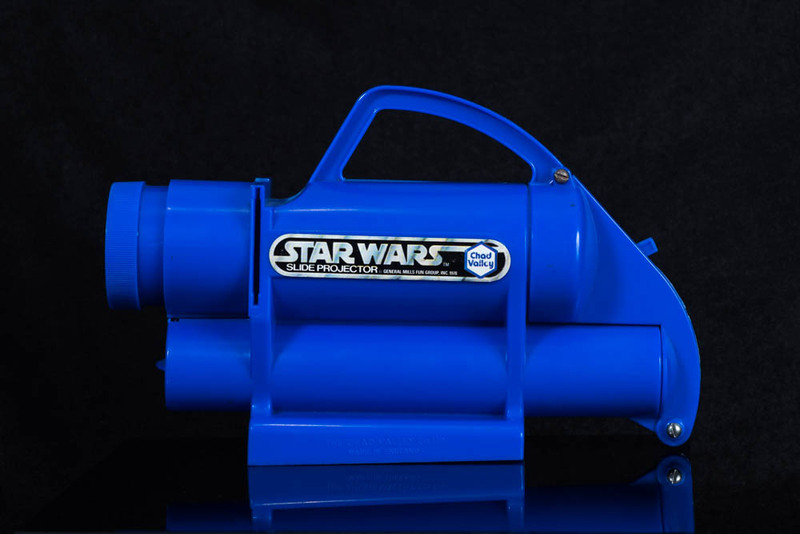 This collectable piece is in very good condition and fully operational complete with original instructions, ideal for cosplay or just as a display piece. 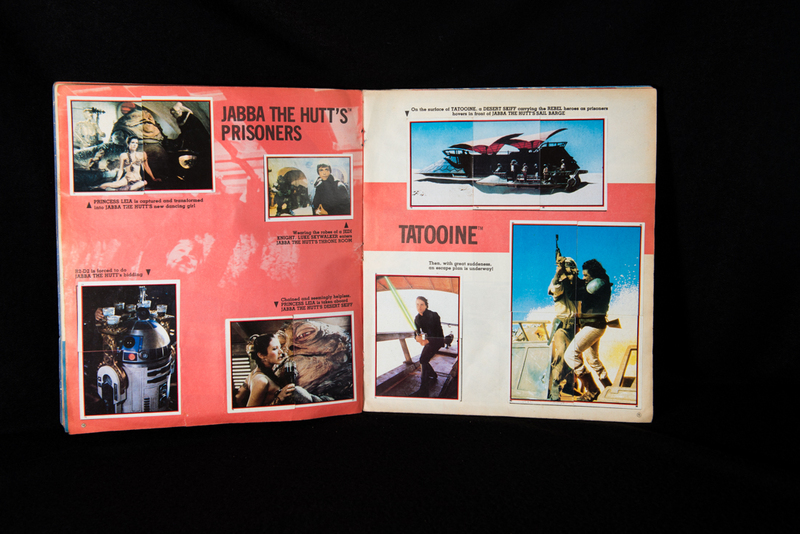 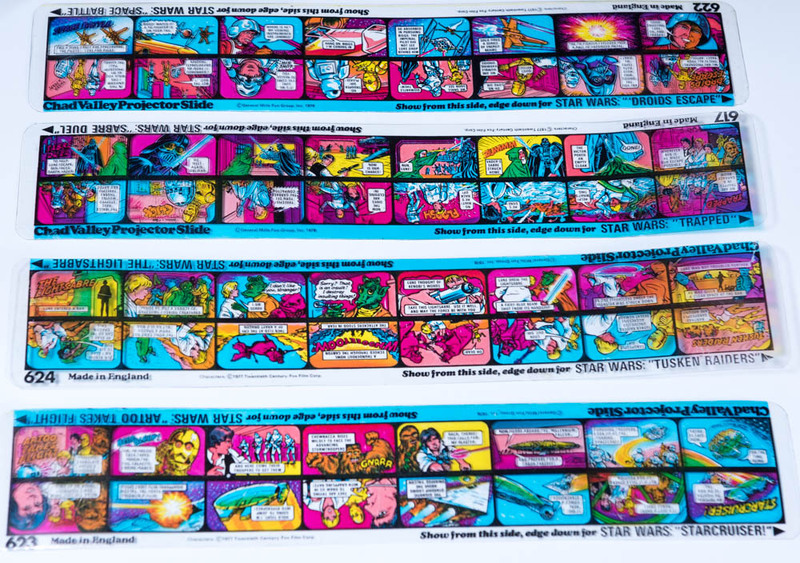 Chad Valley Star Wars Vintage Slide Projector Set, 1977 issue, comes with x4 slide sets. 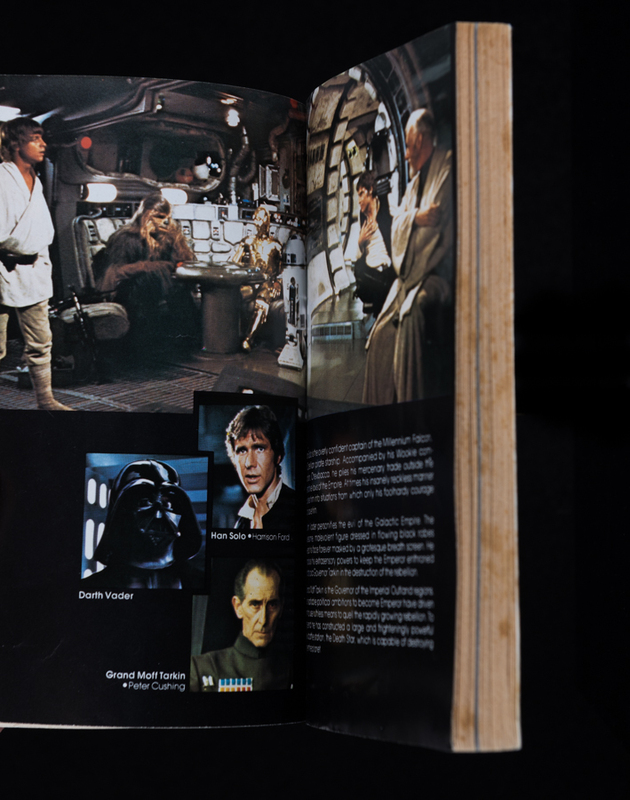 The top clip is missing and has been replaced with a nut and bolt similar to the original bottom hinge. 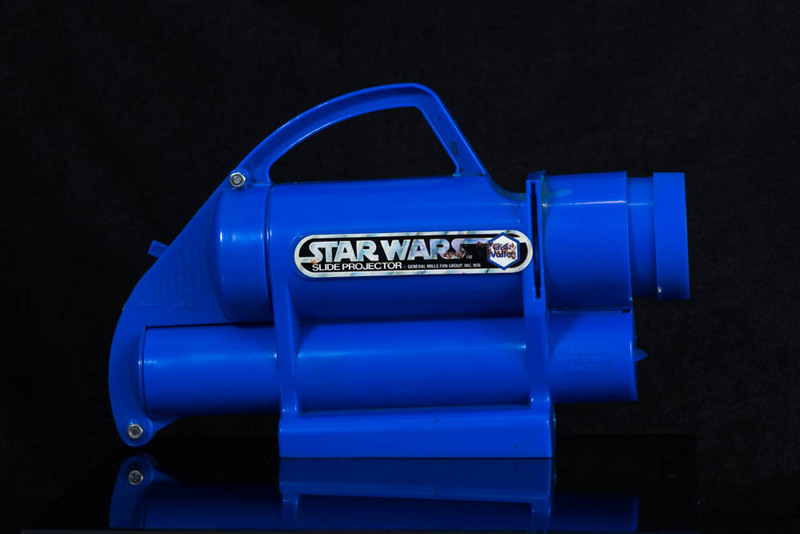 The projector is in good condition and full working order. 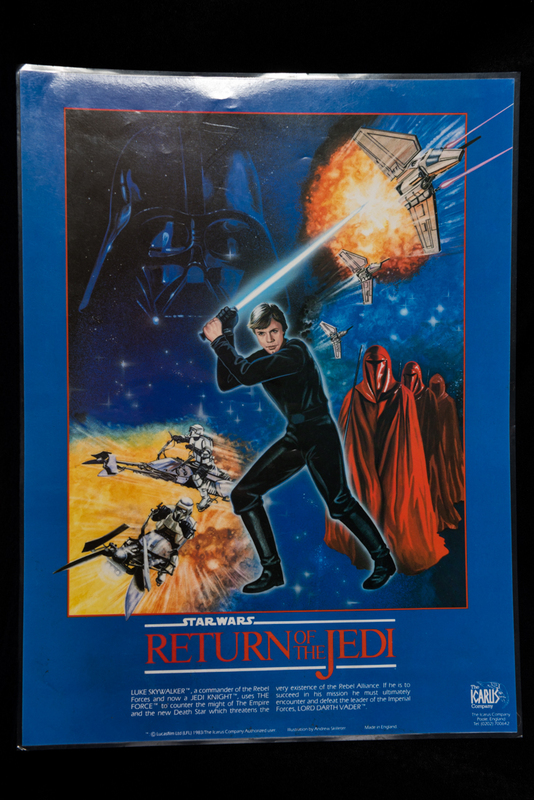 Pieces are in excellent condition and the box is in very good condition and comes with the original poster print. 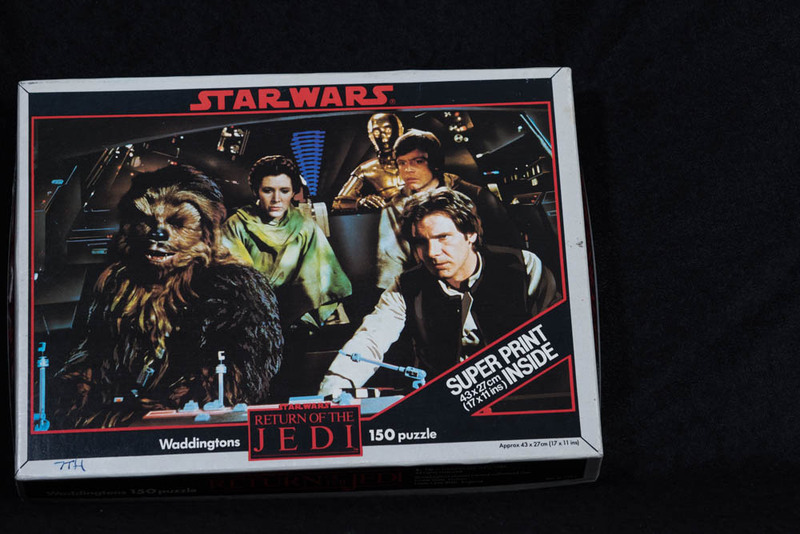 Pieces are in excellent condition and the box is in very good condition the poster print is not with this unfortunately.